Wednesdays at 7:00 PM in WRW 410. Here you can learn about WIALD’s current project, past projects, and outreach in the UT and Austin community! 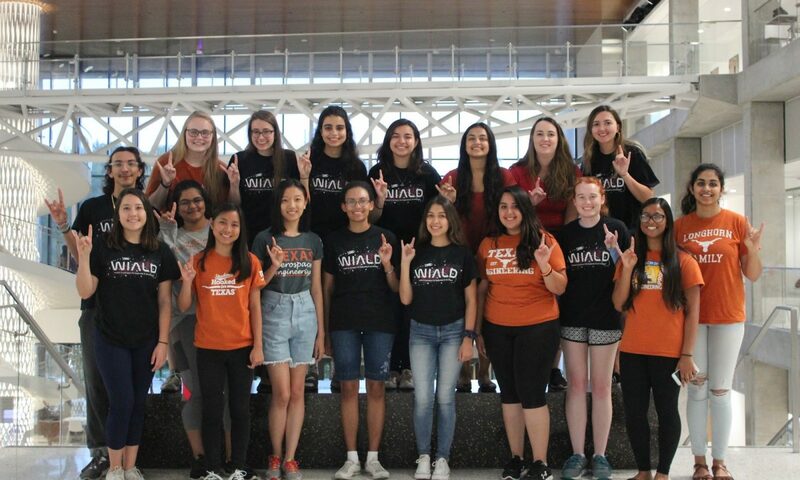 WIALD (pronounced “wild”) is a student-run organization at the University of Texas at Austin. The percentage of women applying for the undergraduate Aerospace Engineering program at The University of Texas at Austin is historically low. In an effort to alleviate this problem, a group of women in engineering came together during the fall semester of 2009 with the help of faculty members and the Women in Engineering Program (WEP) and formed Women in Aerospace for Leadership Development (WIALD). The main objective of the group is to facilitate the development of leadership skills for women in all undergraduate engineering majors while attracting and retaining more women in engineering by making group activities fun, exciting, and ultimately valuable in achieving long-range career goals. Each year we focus on a different hands-on project. In the past, we have launched a payload into space, sent a balloon into the upper atmosphere, flown on NASA’s “Vomit Comet,” and modified a drone to carry a glider which autonomously navigates to pre-determined waypoints. Check out our Current and Past Project pages for more information.